The Marozi (or Spotted Lion) is described as a lion with spots all over its back. 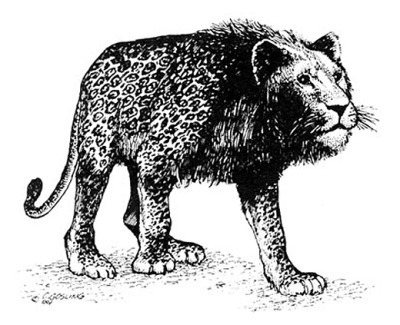 It is described as being smaller than a normal full grown lion, but larger than a leopard and it lacks a mane. The hair it does have around its neck measures no more than 5 inches.